Before we begin, with the news that big Russian Valeri Nischuskin has stated he will NOT play in Canadian Jr hockey and/Or the AHL. He states that 'why' should he play in AHL when he can play in the KHL and in his homeland. While that is a fair comment, it is not a attitude that the Oilers will be high on. Let's say , I will go on record and say with those comments (provided the information is not false of his statements) that the Oilers 100% will NOT be drafting Big Valeri even if he is available. They will either take someone they feel is just as good or they will trade down in the draft as a possibility. Enough said on that front, carrying over from yesterday's blog. Yakupov will NOW stay on the RW, he showed the coaches and Management that he fits better on the right side and is most comfortable there. He will be 1st or 2nd line RW. That puts Hemsky in play. Ales has been a wonderful Oiler and always (usually) had a good attitude. He wants to play top 6 but does not look like it will be in Edmonton. My best guess is Ales Hemsky will be traded at the draft table and if they don't find a suitor they will move him sometime in the summer. Possibly going out with a draft pick and or a prospect. We know Paajarvi is looking good and liked in Edmonton. He showed well this season as things moved forward, however what Magnus showed us was he can be a big body (not a banger) and win the battle in the corners in the offensive zone. Magnus will play the 3rd line LW. He could very well start the year on 2nd line LW, IF the Oilers can not find themselves a top 6 LW via trade market or Free Agency. It is possible if the Oilers were offered a consistent top 6 LW who is a big power forward for Paajarvi and a draft pick or prospect, he could be gone. Gagner is liked by several coaches (outside our organization as well) as well as management. As long as Sam does not price himself too high , he has a chance to remain another season at least with the Oilers. Jones if his contract can be reasonable, will most likely be back and the Oilers will honour Ryan Smyth and his last year of his contract. (Sorry Smyth haters) Belanger will not start the season next year with the Oilers and neither will Smithson. Horcoff will NOT be bought out and like it or not will still be with Edmonton next year again. Hartikainen is still only potential, making him possible trade bait for a big winger like himself who is more established possibly. Chances are lower but the NY Islanders have had interest in Teemu before and could potentially again? We will have to wait and see. Petrell will likely not be back again unless he is ok with 13th forward position with Brown. Mike will be kept as he showed he had game even if for a smaller tough guy. Now those lines have some flexibility but most that roster is likely filled with the exception of a TOP 6 big power forward on LW. On defence Whitney is gone (we all saw it coming) as well as Peckham which leaves...Smid, Petry, J.Schultz, N.Schultz, and Mark Fistric and Corey Potter as your 6th and or 7th defencemen. It is likely Klefbom will have a chance to make the team out of camp but they will be trying their best to bring in a top 4 LH d-man for camp. In the end, the Oilers need a TOP 4 D-Man who is a LH shot. In Goal, Dubynk is not being given #1 spot but this will be his last chance to show staff he is ready to take the reigns. They will be bringing in a goalie along the lines of Mike Smith or a Ben Bishop. In my estimates the Oilers need Top 6 LW Power forward and a Top 4 LH Defencemen and a 1a or 1b Goaltender in net. I do believe the Oilers will answer 2 out of the 3 shortfalls this coming season, but there could be a couple potential surprises and how the Oilers do in this years draft could change everything. Who is potential to go? Paajarvi, Eberle, and maybe Belanger. Likely only first two are even tradeable. Before I am crucified for my suggestion, there is only 1 trade that makes Eberle tradeable IMO....Milan Lucic COULD be had but it will take a high price to get him. That high price could very well mean Eberle and a prospect and/or pick. I don't believe MacT would want to offer that and it could be possible they offer up Paajarvi and Hartikainen plus a switch of draft positions in a later round. This potential trade would only up the ante around the league and I think other teams would offer more, pushing the Oilers to include Eberle if they want to get him. As Oiler fans, I realize we dont want to touch our elite talent but to get top players almost always means you need to deal top players. I can guarantee you that if Edmonton is not trading Hall, Eberle, RNH, Yakupov and or J.Schultz, they will NOT be picking up a top 6 forward or Top 4 d-man via trade. Free Agency will be there only option. The only potential other possibility is if they are able to offer up their #7 draft pick and a top prospect like Paajarvi? If something is going to change, it will mean Paajarvi or Eberle will be gone IMO. One last potential thought on a trade could be with Columbus. 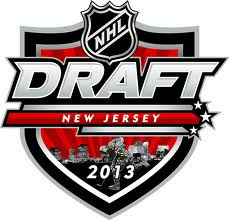 They have 3 draft picks and could use a Ales Hemsky, let your thoughts wander now...hmmmm!! In regards to a Goalie, I can very well see MacT signing a Free Agent Goalie this summer. Could it be expensive? Absolutely! That's the cost of getting a good goalie. Cheers everyone, looking forward to Wednesdays opener in Pittsburgh as the Penquins take on the Islanders. Go Pens! As you can tell from my absence of blogs over this season, it has been a long tough haul this season in Edmonton. Truth is, it has been such an up and down year emotionally that some days , I start a blog only to delete the entire thing, start over and then erase it all and put the laptop away. It's not easy being a Oiler fan since 2006. From the highest of highs to the lowest of lows, I am not sure my heart can handle another season of rebuild as it has been called. I have good news and bad news but let's actually examine if there is HOPE that this rebuild is about to come around the corner or not? Having drafted Taylor Hall, Ryan Nugent-Hopkins and Nail Yakupov now in 3 consecutive years, this tells us we are 3 seasons into a rebuild. I have mentioned this before and will mention it again. Yes a rebuild can take about 5 years but not with 3 #1 picks consecutively, this team should be further along. The argument that it takes some time to develop and improve over a longer period of time? Sure, that's why New jersey, Philadelphia, Montreal, Tampa Bay, etc..all seem to improve in giant steps (sometimes they falter quick as well). C'mon, look at Montreal this year after finishing 3rd OV. I agree it takes time but the Canadiens GM brought in players with compete for the supporting cast. It can be done, now the question is, can MacT be the GM to do it? Edmonton sure hopes so. This year the worst our pick will be is #8 Overall, and that is only if a Team better then the Oilers in the standings wins the draft lottery. Chances are slim to none. We could win the lottery again but somehow the % chance to win a 4th consecutive time seems like a pipeline dream. This team has around a 95% chance to pick at the #7 slot. While drafting from the #7 slot probably took the oilers out of the reality of one of their favourite picks to make a difference on this team, I am proud they didn't just falter these last two games and gave us something to be proud of. I know I do not have Johnathan Drouin in that list and a couple others. I doubt they even have a chance at Drouin and or the top 3 on this list anyway. Chances are, it will be a player on this list rated from 4 down. Let's face it, if Drouin were available he would be selected but, the Oilers could then afford to trade a Jordon Eberle for a high end talent that is big. More on those possibilities down the road. With Seth Jones, he is gone top 3 no matter what, likely #1 to Florida. Nathan MacKinnon is gone top 2 and my estimate is Drouin is gone top 3. Barkov will not last past top 5. Monahan could potentially fall back if Lindholm or Nichushkin moves up early and is selected. With big defencemen like Nurse and Zadorov available there is a outside chance he gets the benefit of falling into the Oilers lap. Nurse would be a interesting player with incredible size already but at #7, I think it's a crapshot he is a top 4 d-man. Valeri is too big of a power forward to pass up on but on the same note, it will take a year before he likely comes over due to a KHL contract situation. 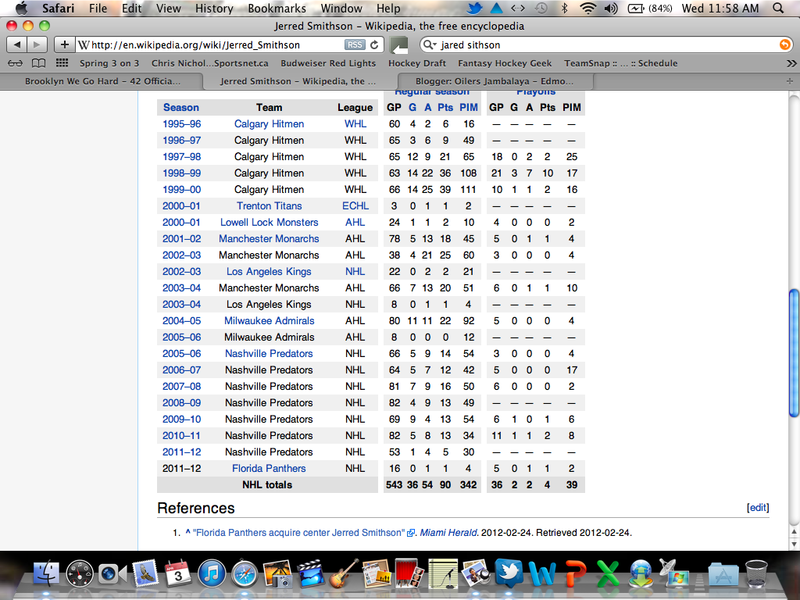 Could he play LW with Gagner centering him and Yakupov? Could be a interesting look. I don't think the Oilers go his direction but it is a possibility. Lazar is a dark horse player cause while he is on a loaded Oil Kings team in Edmonton he is a deadly goal scorer, two way center who plays the game consistent game in and game out. Is shorter at 6'0 but weighs in at that 200 lb mark already and could be a beautiful fit eventually on the Oilers second line. Lazar will be available for the Oil if they do not like their options. Size in Zadorov at 6'5 and 225 lbs makes him very attractive and he is only 18 years old. However Ryan Pulock is a good candidate at 6'1 and 210 lbs to play that point. His slap shot has been clocked already at his age around the 104 mph mark. That is insane. His size and former leadership as a captain could be a benefit. I really do believe they will be careful selecting a defencemen with a few in the pipeline if a center can be selected who they believe is a franchise centre to play 1st or 2nd line for many years to come. All 3 centres listed here could make some noise on the Oilers but depending who is selected, it will affect who stays and who goes. 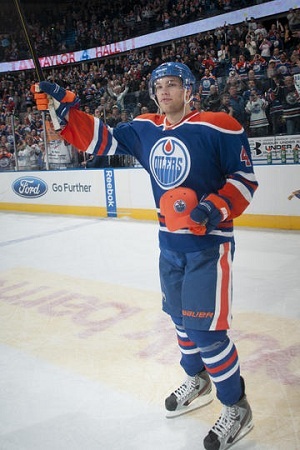 Tonight very well could be Ryan Smyth's last game wearing the Edmonton Oilers colors as a player in the NHL. Even with one more year left on his deal, the growing consensus is Smyth will/should be pushed into retirement at some point this summer. If this does happen, I have no doubt #94 will be given a job within the Oilers organization. He's been a true blue Oiler and I can't see him going anywhere else. I hope you, much like I'm going to, enjoy this very last look at the heart and soul of the old Edmonton Oilers. Word just came out that Edmonton Oilers forward, Ryan Nugent-Hopkins is on his way to Cleveland to have his should checked out. Sounds like he could have surgery done on Tuesday for a torn labrum. Possibly a 6 month recovery. I'd say, he's officially out for the rest of the season. The big question is, why did the Oilers wait this long to have this procedure done? The timeline right now suggests that RNH will miss training camp. I've seen too many players have a bad season because they missed training camp for one reason or another. I'm hoping this isn't the case for RNH. Regardless of a playoff push or not, I'd like to know why this wasn't done two months ago? Or even two weeks ago? Oilers do say the expect him to make a full 100% recovery. Every fans dream came true this morning. Kevin Lowe is about to announce that Steve Tambellini has been fired as GM of the Edmonton Oilers. Tambellini has done a poor job at assessing and move forward with a progressive plan to make the current Oilers better. The fans sigh a collective sigh of relief. Craig MacTavish is rumored to be the new GM. I believe that MacT will do a better job. Time will tell. Well the Edmonton Oilers will not make the playoffs this year unless 5 teams break down and lose everyone of their games and the Oilers win most/all of their games. This is just a mere possibility that will not happen. In this blog post, I will give 4 goals for the Oilers to finish the season, and 3 goals for the off season. 1. Get Hall and Ebs to focus more on defence, so when next season comes around, they hopefully have some good habits. This will just help their overall game. 2. If RNH's shoulder need's shoulder surgery, then let him go with 5 games left and get a head start on the road to recovery. 3. Give guys that wouldn't get time on the PP some playing time. It's not a reward because no one really deserves one. It more for puck confidence. 4 Give Yakupov more ice time. This kid is a great sniper that doesn't get as much time as he probably should get. 1 sign a player like Horton or Clarkson (if available.) If the Oilers sign one of these two, it really fills a gap. A top 4 defenceman and a backup goalie should also be on the want list as a priority as well. 2 Trade to get a 20 something pick to get Max Domi or Curtis Lazar (if available) Prospects are always nice to have and those two could help this team down the road. At this point, who knows, maybe the Oil have a top 5 pick? 3. Get better depth through trades. The Oilers need more depth than they have right now. Trading for some is an option. But let's be real, the Oil have limited amount of talent to trade. Especially if the want an upgrade. Well, looks like it is happening again. This city just begins to gain some hope for their favourite sports franchise and BOOM! Right in the face of our confidence. It's like when there is no pressure this Oiler team seems to thrive. Put the pressure on and everything is pulled out from under them. To be fair, it was a 2nd game of back to back and they just finished riding a pretty emotional high. Also how long can we expect a winning streak to continue with a team still trying to learn to win? It's difficult to see the trends but on the other should this team win their next 2? Feels like these same questions have been pondered and or discussed before and we keep circling the tree does it not? Regardless of what we may see game to game, this team is growing up right before our eyes and maturing. IMO , the Oilers NEED to win the next 2 to even have a fighting chance for a playoff spot. Personally a playoff spot takes us out of a top draft pick realm this June 2013 and more then likely means a 1st round exit. On the other hand, a 1st round experience gives us some ground in preparation for next year. I believe the Oilers need 1 more final good draft selection to move to the next level. They need that skill and size player up front even if it may mean 1 year extra of waiting while still developing the core they had. Next game prediction? I hope I am wrong, but I have this uneasy feeling the Oilers will be lucky to sneak out with a single point and if they could squeeze out a win it will more then likely mean it comes in overtime and they give up that single point that does not separate them really from anyone. Here is hoping this Canuck game was just a small error on the way to great success. Let's keep our stick on the ice!!!!! At 6'4 and 204 lbs, Valeri could be a prospect that could very enticing to a team like the Edmonton Oilers. Why? Size for #1 and #2, for skill. At the World Jr's he showed the world his power like he was a man among boys. Oh yeah, that was the best boys of the nation of Canada, considered a hockey powerhouse in the world. While his stats do not stand out as strong as some of Edmonton's elite talent, his Overall game could be exactly what the Edmonton Oilers need going forward. While my rankings have changed slightly, Valeri will remain pretty close to his current ranking I started the year with, so no surprises from me on this player. I know Edmonton would prefer to have a Big Centremen rather then a LW but hey, maybe you can keep Gagner as your 2nd line Centre if you got a big LW like Valeri playing for you on that 2nd line eventually. What would the top 3 lines look like, one more season down the road? Definitely would answer the size with speed and power and clutch play. Some rankings have him soaring up the standings for this 2013 draft but actually since he is signed in the KHL, it is possible like Malkin before , his game will be 1 or 2 years down the road. That may be enough to have some other teams shy away. Maybe with the elite talent the Oilers are compiling and fellow Russian Yakupov on the team, the Oilers could make a pitch to come earlier. Who knows, but if opportunity was there, I am sure the Oilers would be very interested in exploring this option. If the Oilers pick later then Top 15, Valeri will not be available anyway but it's always nice to dream about it. Again I state that the Oilers want a Centre and their preference in order will be MacKinnon/Barkov/Monahan/Lazar. If none of those players are available at Centre when the Oilers stand up to pick in the 1st round and Valeri is available? They will pick him. Nichushkin has great size, and excellent speed and knows how to drive to the net hard. With a arsenal of offensive talent, Valeri can likely look much better dominating on a smaller ice surface. Has deceptive speed as well for a man as big as he is. Think of The Great Mario kind of deception. No comparison as players but just the deceptive speed. His ability to use his body to protect the puck is outstanding, in fact he has drawn some comparisons to Jordon Staal. The Edmonton Oilers trade for Jared Smithson for a 4th round pick. He is a big body and will be a presence on the 4th and 3rd line. With only about 23 hours or less remaining, the Oilers made a small trade today, moving out Dane Byers for Stafford. No fans, not Drew but some career minor leaguer. This is not a trade the typical Oiler fan has to even be thinking about. This player was really a sure thing to go if we were missing the playoffs but now, Tamby has to show the dressing room he is wanting to win. With Ryan moving the puck much better as of late and the Oilers winning 75% of their games lately, how can you trade him now? To move him out now would mean you need another puck-moving d-man and nobody other then Streit is even a consideration. If Edmonton has a trading partner to do something with the Islanders then Whitney could be moved out. If not, he stays and provided he gives them a good playoff run, maybe then he can be resigned for 2 years at 3Million/per? Is a player that could possibly give you a 1st round draft pick but only to the right team that can work with his 5M for next year and may want to re-sign him for some more years. Likely Hemsky only goes out for a bigger more rugged winger? Unlike other people, I do not think Clowe should even be a option. His production has fallen and fallen big for a reason. Buyer beware is reading all over him! They will want something back now. Possibility of trade with BlueJackets? Maybe, but unlikely. Hemsky and a 2nd round pick plus prospect like Musil or Marincin for Ryan Johanson, the BlueJackets 3rd round pick? Possible, but unlikely something Columbus does. They like big Ryan but I have to say, I am not a big fan of his potential big league wise. Numbers have never been outstanding. His best upside to me is a Horcoff player in the future. Should they get him, they could play him on the wing in place of Hemsky? Or they Move Ryan Johanson onto Nail's spot on 3rd line and move Yakupov with Gagner and Paajarvi? 10% Chance? Glad to see his play has improved once again and could prove to be a great backup for a long playoff run. Who could want him? Bruins? Would be a great alternative. Chicago? I doubt they need a third. I could see St.Louis if their concerned about a unproven Jake Allen in playoffs and they have plenty the Oilers could use. Not likely trade partner but could work. I say 30% Chance Khabby can be moved out. He is not going anywhere. They have been patient with him and he could be invaluable as a bigger forward who is really starting to mold into the player they expected. Even if he plays down a line eventually on the third line, Magnus won't be traded. Who do you replace his size, power and speed with? 10% Chance if the right deal comes along. Nino in NY could be a potential trade partner if the Oilers are concerned about Teemu eventually coming into his own in next year or so. Believe it or not, I could see a Teemu plus a 4th round pick for Nino straight across. Not sure , how I feel about it but as much as I like Teemu, I am not sure he can play aggressively and consistent enough to be in the Oilers top 9 and still become a championship team. 5% Chance he goes the other way in a trade. We got him for his toughness and who would replace that when you need that kind of player? Exactly! Not going unless it was a high 2nd rounder and that is not very likely. 30% Chance if someone is looking for a depth d-man these playoffs. Maybe a prospect or a 4th round pick? Seems to be odd man out but could work well on a team like Boston or Chcago. Well Oiler fans, let's sit back and see what happens. If it's per normal for Tamby, he will make no moves and fans will rip him apart for being so passive. On the other hand, if he makes a bold move he will be very closely scrutinized. My guess? He makes no moves that could risk his job for next year. And so we wait!!! tick, tick, tick, tick!